I’m starting a new series within this blog, Close Ups on Fade Outs. I love writing books about early Hollywood and sharing my experiences with you through this blog. In all honesty, however, I have to say that the research into my work is what keeps me stimulated. In recent years, I have dedicated a lot of time to tracking down those early actresses who seem to have slipped away from film historians and enthusiasts. They have disappeared into the dusty past. There are questions marks where their death dates should be. What became of these ladies after their careers were over and where and how they spent their last days is what keeps me interested in what I do. Call it a fascination with necrology or an obsession with tying up the loose ends of someone’s life. 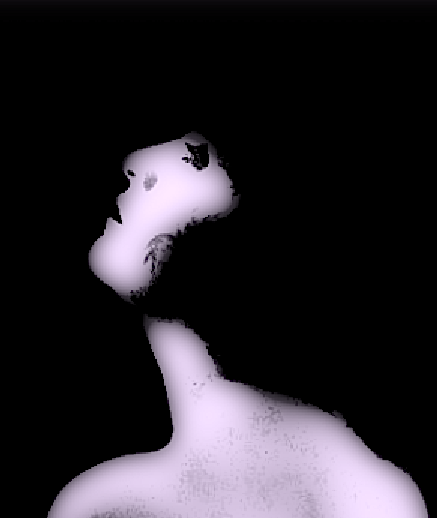 Whatever it is, the yearning keeps me returning to dusty paths that lead back to the early days of filmmaking. Come with me! 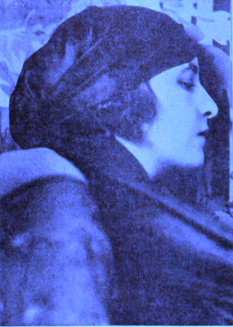 The early screen vamp was born Christine Maier on December 25, 1883, in Jersey City, New Jersey, to Gottlieb Ludwig Maier and Christine M. Stumpff, both Germany immigrants. She was the first of three daughters. 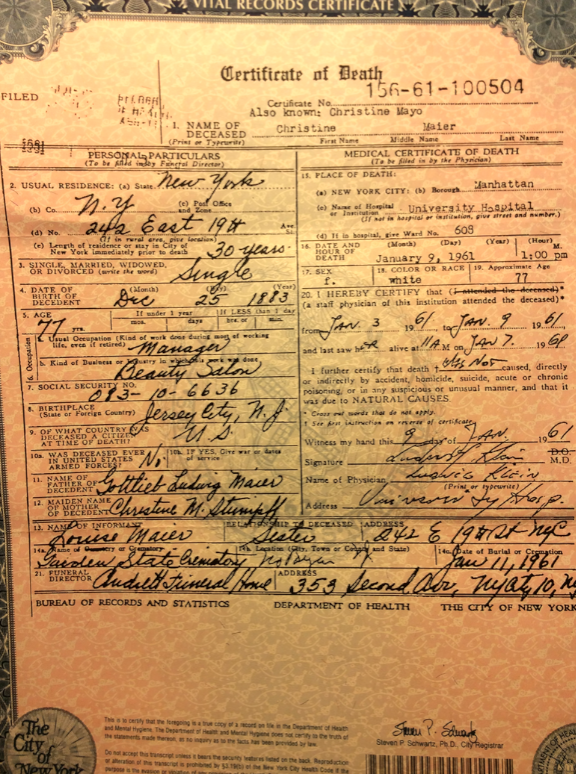 Ann was born in 1885 and Barbara Louise came along two years later. Christine had the talent for show business. She was trained as a singer, but went on the stage after losing her singing voice. Her first theatrical experiences were in Excuse Me and Seven Keys to Baldpate. The actress became an early proponent for a fund to support fellow actors. In 1914, she introduced a plan that would endow beds in hospitals across the country for those in her profession stricken with illness far away from home. Christine made her film debut for Ramo Film Company. 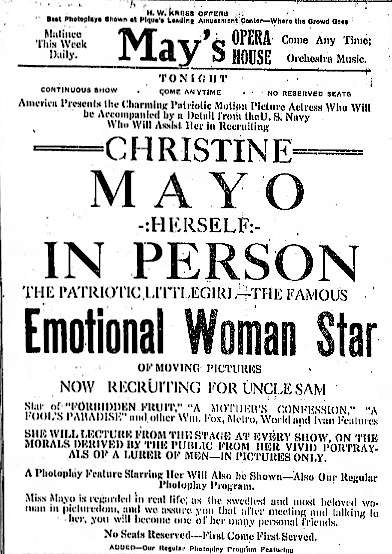 She was billed as Miss Mayo in The War of Wars: Or, The Franco-German Invasion (1914), the first film released in the United States that concerned World War I. In Who’s Your Neighbor?, Christine plays a prostitute, who, during a reform movement, is forced from the red light district to the better parts of the city. Off screen, she was anything but an evil seductress. While promoting her films on a tour of 30 American cities, Christine recruited troops for service in World War I and sold Liberty Bonds. Her service did not go unnoticed. She received a gold medal representing the American flag from the hospital corps and was one of the first women of the stage to be awarded the right to wear the button of the Liberty Legion. 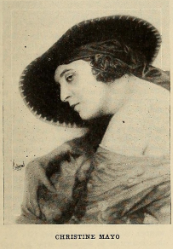 Christine’s film career, which consisted of roughly 30 films, extended into the mid-1920s. She had good roles and she did good work for such companies as Fox, Metro, and World Film Corporation. 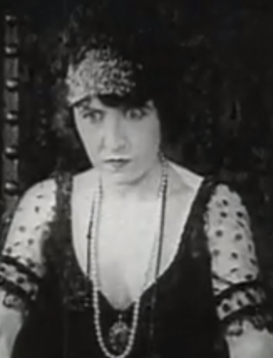 She appeared with John Barrymore in Raffles (1917) and Lon Chaney in The Shock (1923), in which she played Chaney’s underworld boss, Queen Ann. After her work in films, Christine did some theatrical work. For a time, she lived in Boston, where she managed the Scandia Jourde and Slattery’s beauty salons. There is no indication the former actress ever married. She remained close and devoted to her sisters. Later in her life, Christine returned to New York City. She lived in a Gramercy Park apartment at 242 East 19th Street with her sister, Louise. She died on January 9, 1961, at University Hospital of natural causes. Louise died the following year.